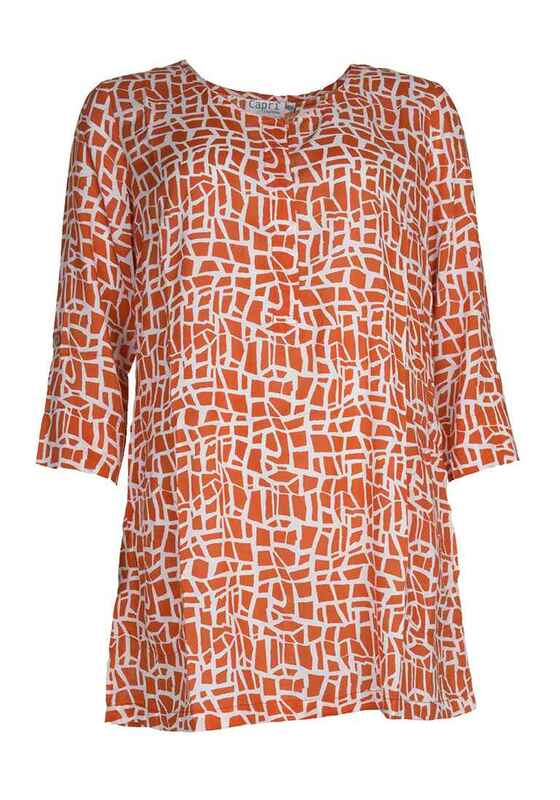 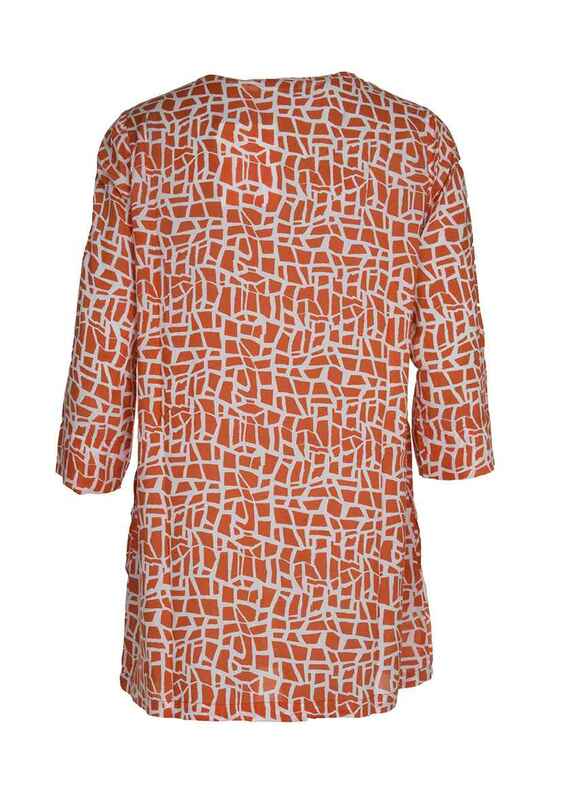 Lush grid printed orange tunic from Capri. 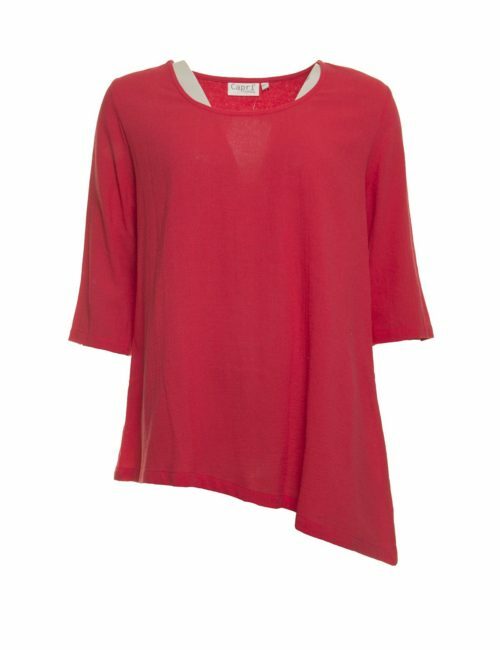 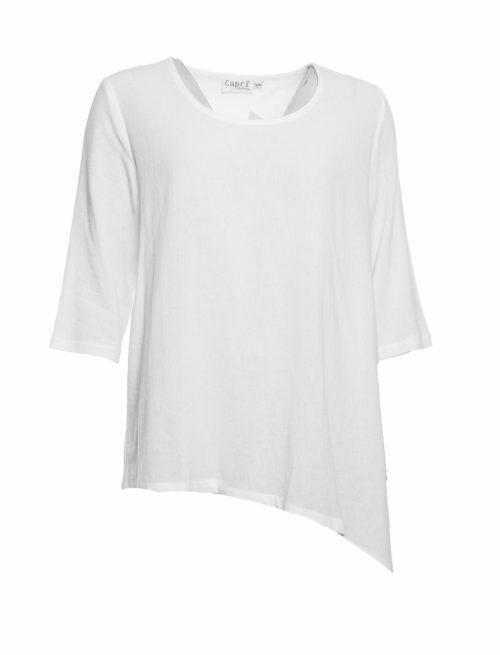 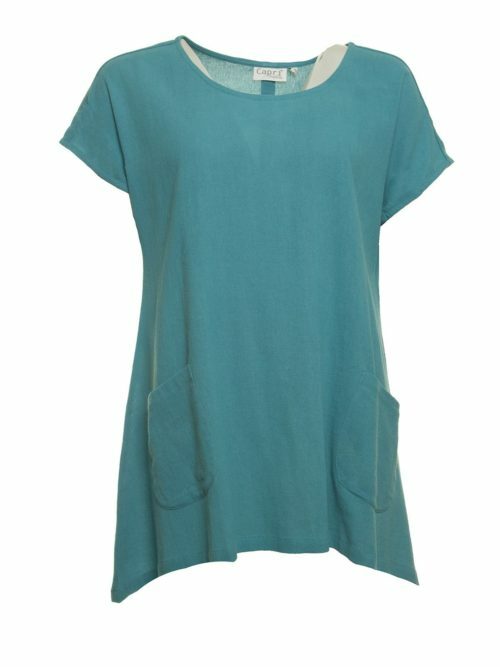 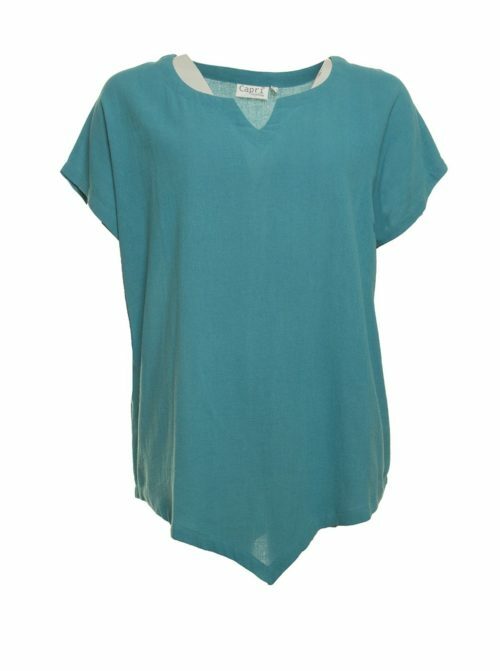 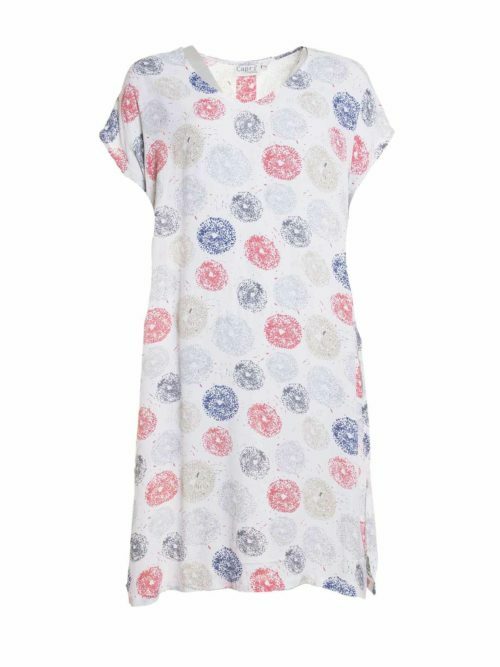 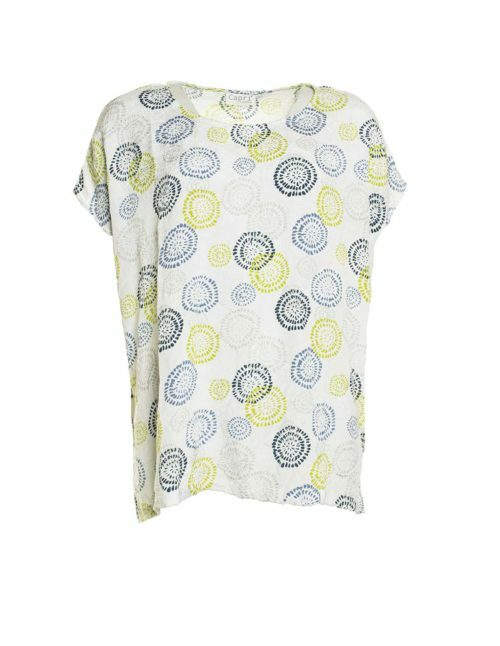 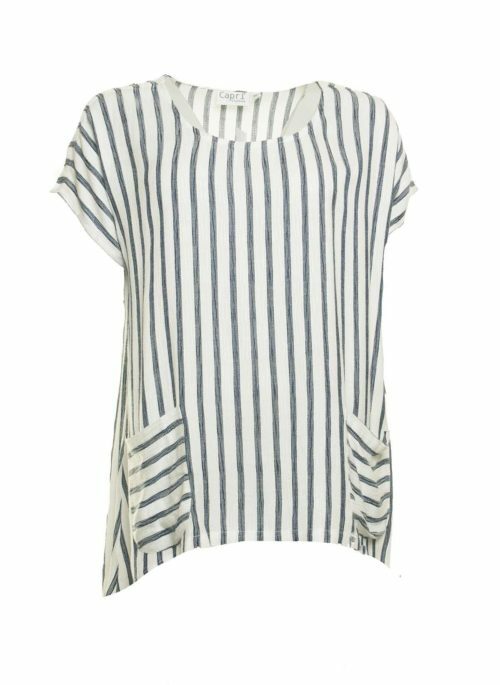 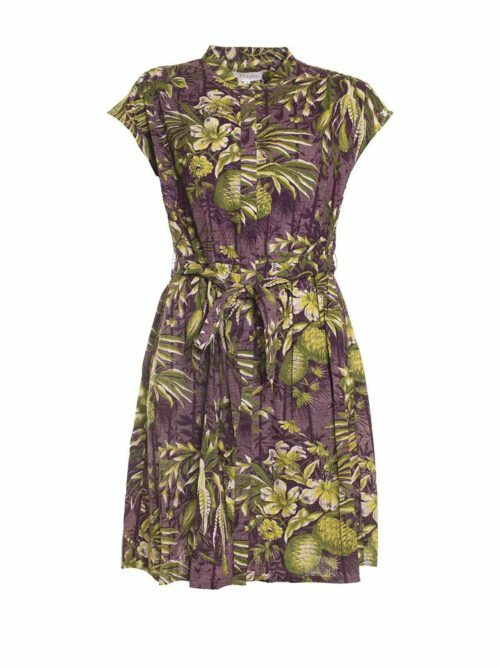 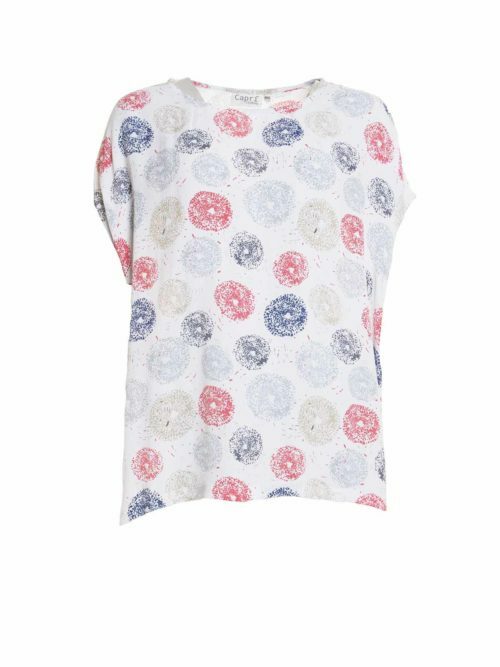 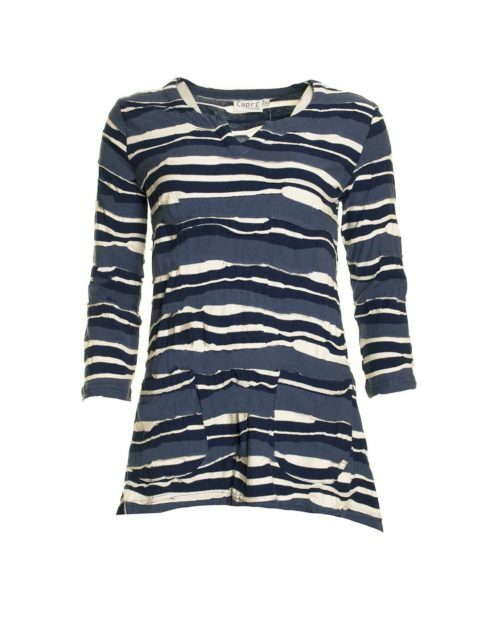 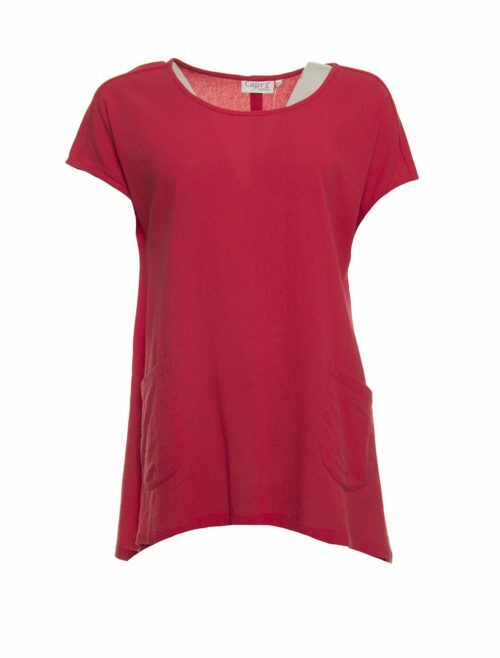 Katie Kerr Capri tunic in a fine viscose fabric has ¾ length sleeves and two concealed side pockets. 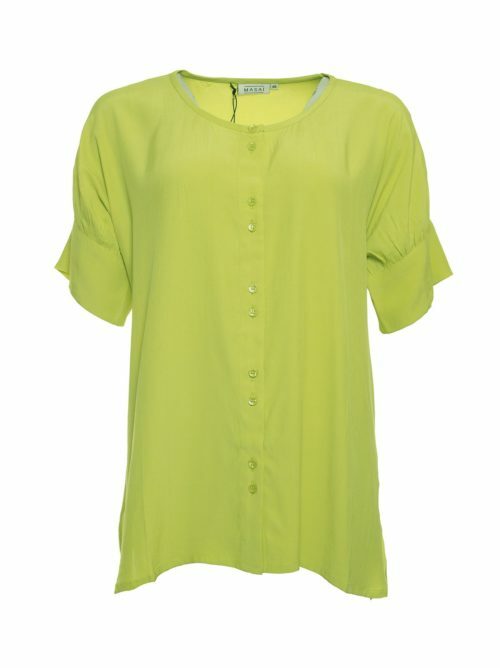 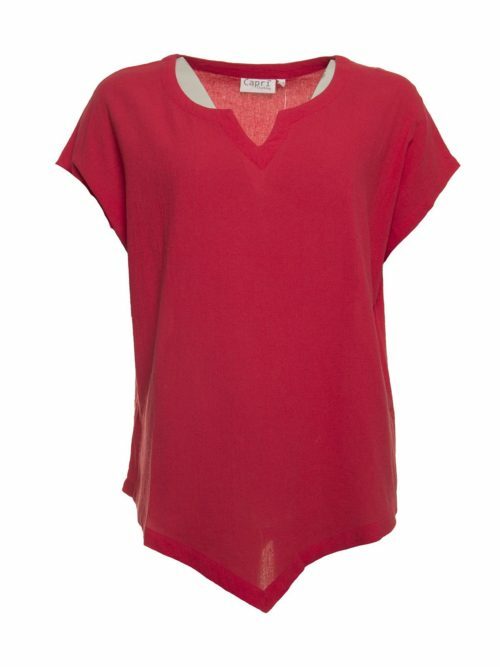 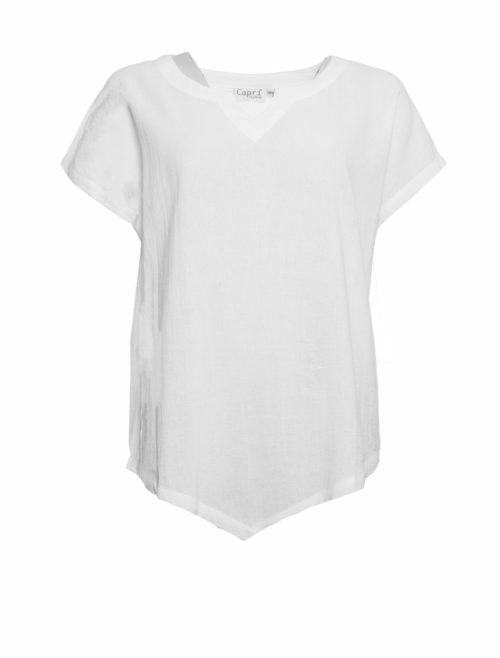 Scoop neckline with button detail then concealed buttons to waist. 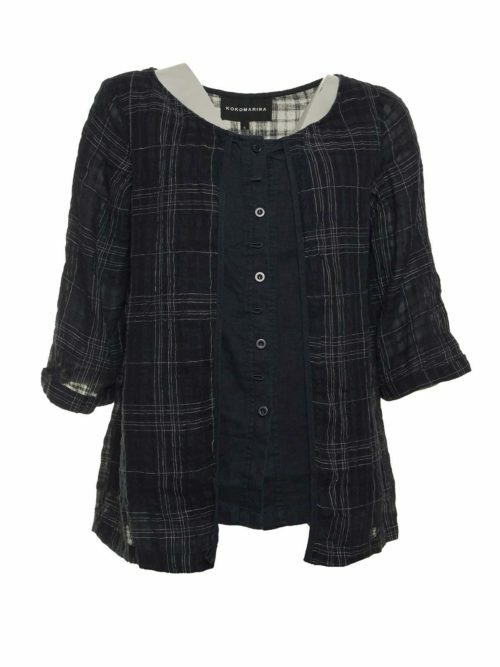 Button on sleeve to roll back. 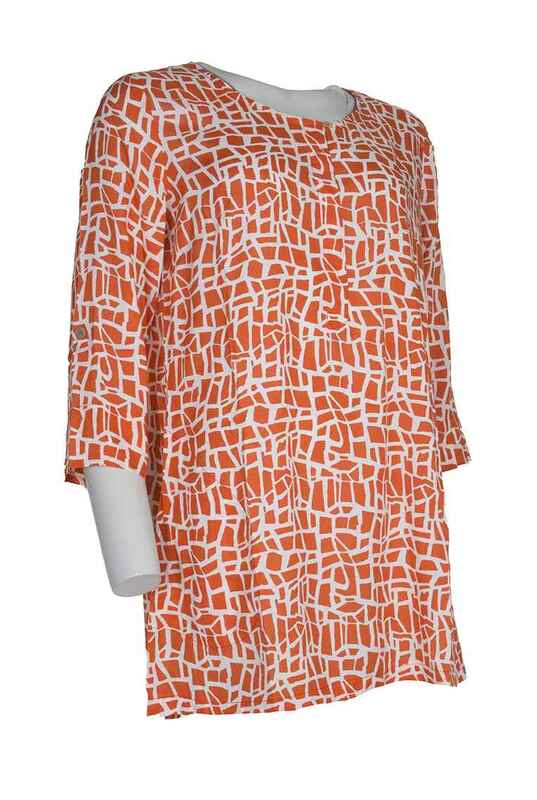 This pretty grid print tunic is a perfect holiday cover up or great with white jeans.